This page has an overview of which K.N.P.S.V. products you can order. 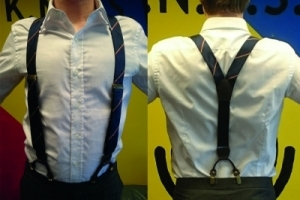 It is possible to order a tie, bow tie, braces, and a sweater. Is your K.N.P.S.V. wardrobe complete? After ordering a product, the K.N.P.S.V. board will make sure your product will be handed to you directly or to your department as quickly as possible! The new K.N.P.S.V.-gadget is here! The kit consists of 3 dices and a deck of cards. All personalised with the K.N.P.S.V. The lustrum congress committee has designed three gadgets this year. 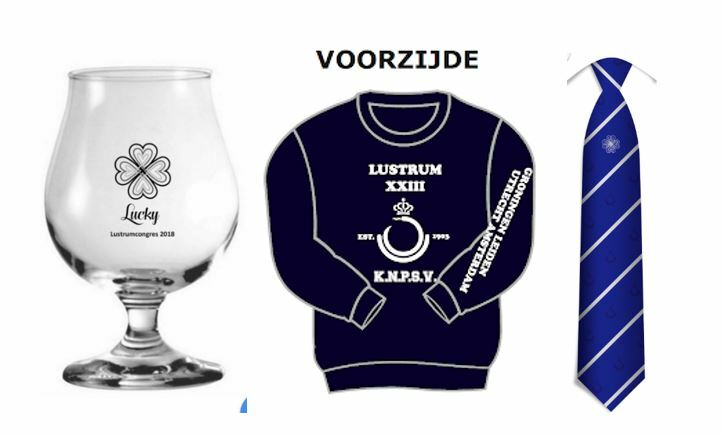 There is a lustrum sweater (Size S and M are sold out), tie and beer glass. This is the K.N.P.S.V. 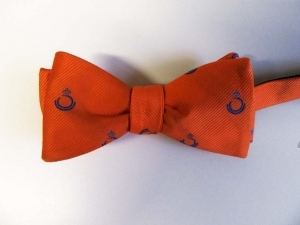 bowtie. Each flap has a K.N.P.S.V. insignia when tied correctly. 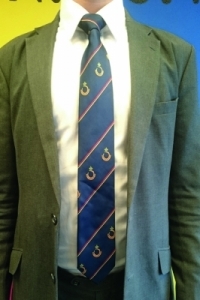 This is the K.N.P.S.V.-tie. The K.N.P.S.V insignia can be found on the deep blue tie that is striped with the colors red, blue and yellow. This is the K.N.P.S.V. badge. 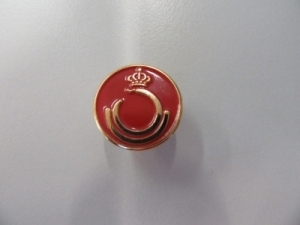 The badge has the insignia of the K.N.P.S.V. in gold on a red background. 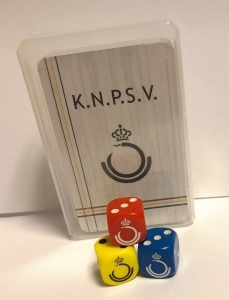 These are the K.N.P.S.V. braces. The braces are dark blue striped with red and yellow. The attatchement part is black.